Don’t forget to sign up for the Eating for Energy Teleseminar tomorrow, Wednesday, June 22nd at 7:00pm EST. Contact me at AllisonNichols.HC@gmail.com for Dial-in information or with any questions! The sun is out, the breeze is warm– it’s definitely summer out there! 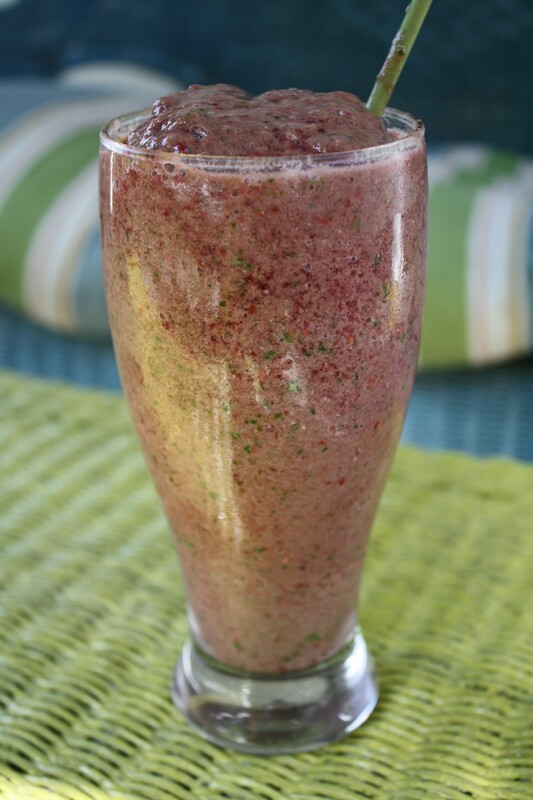 My favorite breakfast on a warm summer morning is a nice, brain-freeze inducing smoothie packed with spinach and berries. There’s just something about getting a green veggie in the AM that makes my day 1000% better! This baby was tart and delish! I went no frills on this smoothie: just spinach, berries, nana and coconut milk. Simple and crisp! 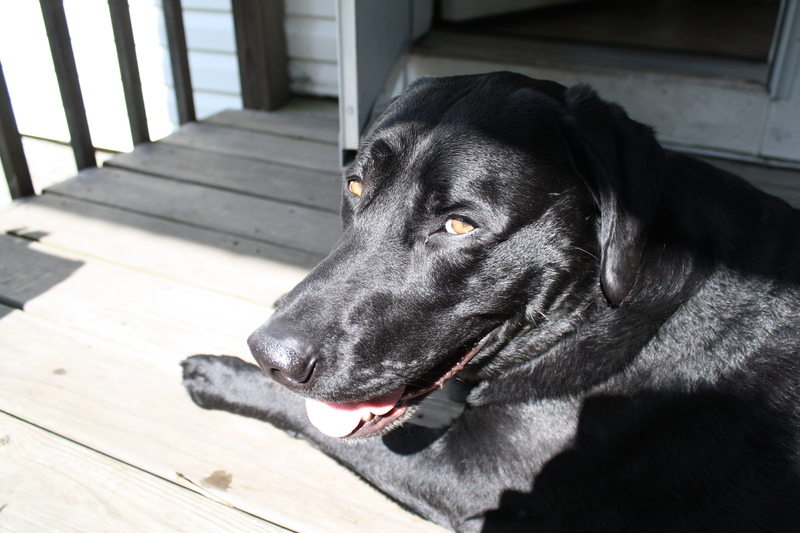 Chester, or should we say Sun Puppy, thought it looked pretty darn good. 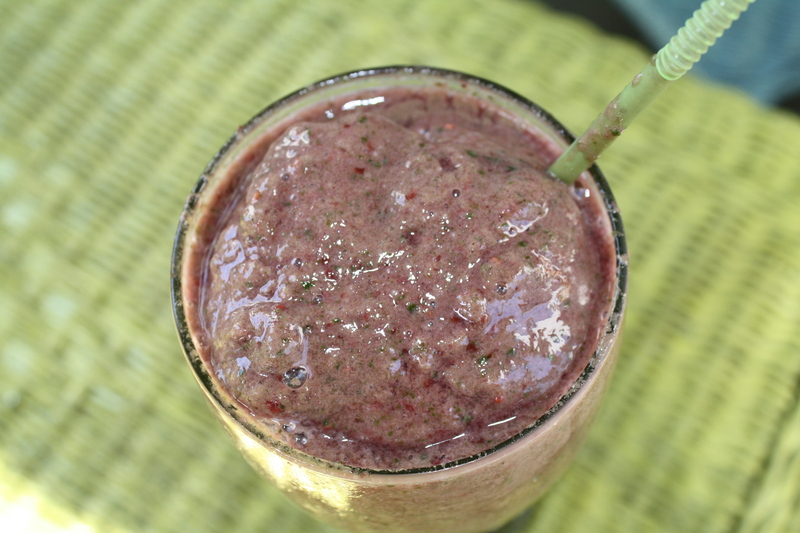 What kinds of smoothies does the warm weather have YOU craving? UPDATE: Eating for Energy Outdoor Workshop– Rescheduled! My favorite these days is kale, pineapple, frozen banana and a few berries. Yum! That sounds so good! I never think to put pineapple in smoothies for some reason…thanks for sharing, Betsy! That looks fantastic, and I can’t wait to try it! Happy (Delicious) Summer Solstice! This is my favorite smoothie right now too! I add two tablespoons of flax, makes it a lil nutty- so good! Going to try that kale pineapple one today! Hi Julie! Thanks! I usually add some chia seeds and almond butter to my smoothies, but for some reason I was totally in the mood to keep it simple this morning! 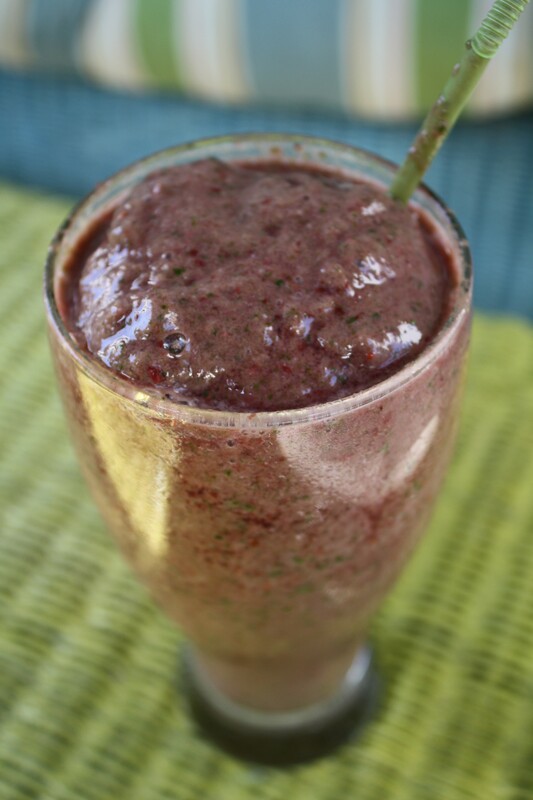 Flax sounds like a great addition to this smoothie! Nice to find another Paleo Blog 🙂 And local I see… I’m from Massachusetts as well!! I had this for breakfast this morning and I absoutley loved it!!!! I did subsitute 8oz of plain greek yogurt for 1 cup of coconut milk but did add 1 cup of coconut milk as well……I will have this one again!!! Yum! I bet the Greek yogurt gave it an amazing consistency! Like ice cream maybe? Sounds awesome. Thanks for sharing!